User-centered Design The large-size color display allows good visibility even under extremely strong light. And the seven programmable keys facilitate your communication in various conditions. Reliable Quality MD785/785G is strictly compliant with MIL-STD-810 C/D/E/F and IP54 standards, ensuring outstanding performance even under harsh environments. Superior Voice With the combined application of narrowband codec and digital error-correction technologies, MD785/785G is capable of ensuring you superior voice under noisy environments or at the edge of the coverage area. In addition, the adoption of the AGC technology also optimizes your voice. With a built-in 5W speaker, MD785/785G ensures clear and crisp voice communication. Higher Spectrum Efficiency, Higher Channel Capacity Benefiting from the TDMA technology, MD785/785G allows twice the channels based on the same spectrum resource. This is a big help to relieve the stress of increasing shortage in spectrum resource. Dual-slot Pseudo Trunk With this feature, the free slot can be allocated to a member that needs to communicate, effectively enhancing frequency efficiency and allowing you to communicate timely under emergent situations. 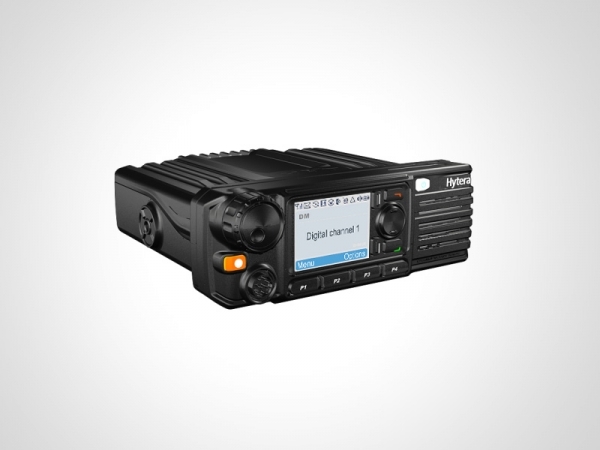 Secure Communication Besides the intrinsic encryption of the digital technology, MD785/785G provides enhanced encryption capability (such as 256-bit encryption algorithm) and the Scrambler feature (selectable). Versatile Services In addition to conventional communication services, MD785/785G features rich data services and selectable functions such as Message, Scan, Emergency, Emergency Footswitch, Channel Steering, Auto Registration*, High-speed Data Transmission* and Lone Worker*. Further Development Port The reserved port in MD785/785G allows users or any third party to further develop other helpful functions (Message, GPS, Call Control and Telemetry). * indicates functions available in later version. Dual Modes (Analog+Digital) MD785/785G can operate in either analog or digital mode. It is compatible with the prevalent analog system, ensuring a smooth analog-to-digital transition. Versatile Voice Calls Intelligent signaling of MD785/785G supports various voice call types, including Private Call, Group Call and All Call. GPS MD785G supports viewing of GPS positioning information and sending of GPS text message. IP Service* MD785/785G allows multiple IP functions if connected with a PC via IP address. Various Analog Signaling Types MD785/785G supports various analog signaling types (HDC1200, DTMF*, 2-Tone* and 5-Tone*), providing higher function expansion capacity. Multiple Languages MD785/785G supports 10 languages (English, Simplified Chinese, Traditional Chinese, German*, Spanish*, French*, Italian*, Polish*, Russian* and Turkish*), allowing you to select as per your needs. Software Upgradable With this capability, you can enjoy further features without buying a new machine. * indicates functions available in later version.